Bottom Line: A crushable Pinot Grigio. Purple Wine & Spirits Co.
89 • Arius 2014 Pinot Noir, Edna Valley 14% (USA) $25.95. 85 • Arius 2016 Pinot Noir, California 13.5% (USA) $18.99. 87 • Arius 2017 Chardonnay, California 13.5% (USA) $17.99. 91 • Athenaeum 2015 Cabernet Sauvignon, Rutherford, Napa Valley 14.5% (USA) $54.95. 94 • Athenaeum 2015 Cabernet Sauvignon, Napa Valley 14% (USA) $39.95. 87 • Athenaeum 2015 Merlot, Napa Valley 14% (USA) $39.95. 93 • Avalon 2014 Cabernet Sauvignon, Napa County 14% (USA) $19.99. 92 • Avalon 2014 Cabernet Sauvignon, Napa County 14% (USA) $19.99. 86 • Avalon 2016 Chardonnay, California 13.5% (USA) $11.99. 87 • Avalon 2017 Chardonnay, California 13.5% (USA) $10.99. 88 • Avalon 2016 Cabernet Sauvignon, Lodi 13.5% (USA) $9.99. 84 • Avalon 2017 Pinot Noir, California 13.5% (USA) $10.99. 86 • Avalon 2017 Pinot Noir, California 13.5% (USA) $11.99. 89 • Cabpothesis 2015 Old Vine, Cabernet Sauvignon, Lodi 13.8% (USA) $18.95. 90 • Calista 2013 The Coast Range, Pinot Noir, California 14.5% (USA) $24.99. 84 • Calista 2016 The Coast Range, Pinot Noir, Mendocino County-Monterey County-Sonoma County 13.5% (USA) $20.00. 91 • Donovan-Parke 2014 Pinot Noir, California 13.5% (USA) $15.95. 89 • Donovan-Parke 2016 Sauvignon Blanc, California 13.08% (USA) $15.95. 85 • Donovan-Parke 2016 Pinot Noir, California 13.5% (USA) $15.95. 87 • Donovan-Parke 2016 Chardonnay, California 13.5% (USA) $15.99. 87 • Donovan-Parke 2017 Rose, Pinot Noir, California 12.5% (USA) $15.99. 86 • Donovan-Parke 2016 Chardonnay, California 13.5% (USA) $15.95. 86 • Donovan-Parke 2017 Chardonnay, California 13.5% (USA) $15.95. 87 • Donovan-Parke 2016 Cabernet Sauvignon, California 13.5% (USA) $15.95. 84 • Donovan-Parke 2017 Sauvignon Blanc, California 13.0% (USA) $15.95. 85 • Donovan-Parke 2017 Pinot Noir, California 13.5% (USA) $15.95. 89 • Dusk to Dawn 2013 Pinot Noir, Russian River Valley 13.8% (USA) $29.95. 89 • Dusk to Dawn 2016 Pinot Noir, Russian River Valley 14.3% (USA) $29.95. 85 • Dusk to Dawn 2016 Chardonnay, Russian River Valley 14% (USA) $24.95. 90 • Dusk to Dawn 2017 Rose, Pinot Noir, Sonoma Coast 11% (USA) $23.99. 84 • Graton Cellars 2014 Chardonnay, California 13.5% (USA) $8.99. 85 • Lucky Star 2014 Pinot Noir, California 13.5% (USA) $11.99. 85 • Lucky Star 2015 Chardonnay, California 13.5% (USA) $11.99. 88 • Lucky Star 2014 Petite Sirah, California 13.5% (USA) $11.99. 89 • Lucky Star 2016 Chardonnay, California 13.5% (USA) $9.99. 86 • Lucky Star 2016 Pinot Noir, California 13.5% (USA) $9.99. 86 • Lucky Star 2016 Chardonnay, California 13.5% (USA) $12.99. 86 • Lucky Star 2017 Chardonnay, California 13.5% (USA) $13.99. 86 • Lucky Star 2017 Pinot Noir, California 13.5% (USA) $13.99. 81 • Main & Geary 2016 Pinot Grigio, California 13% (USA) $14.95. 86 • Main & Geary 2017 Rose, Pinot Noir, Sonoma County 11% (USA) $19.99. 89 • Main & Geary 2016 Cabernet Sauvignon, Central Coast 14% (USA) $19.95. 85 • Main & Geary 2016 Chardonnay, Sonoma County 14% (USA) $18.95. 89 • Main & Geary 2016 Petite Sirah, Lodi 14% (USA) $17.95. 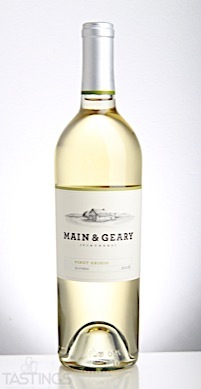 83 • Main & Geary 2017 Pinot Grigio, California 12% (USA) $14.95. 86 • Main & Geary 2016 Pinot Noir, Central Coast 14% (USA) $19.95. 88 • Marc Cellars 2014 Pinot Noir, California 13.5% (USA) $8.99. 85 • Marc Cellars 2015 Chardonnay, California 13.5% (USA) $8.99. 87 • Marc Cellars 2017 Chardonnay, California 13.5% (USA) $12.99. 91 • Moral Compass 2016 Cabernet Sauvignon, Columbia Valley 14.5% (USA) $19.95. 87 • Moral Compass 2016 Red Wine Blend, Columbia Valley 14.5% (USA) $19.95. 81 • Pico & Vine 2014 Chardonnay, Sonoma County 14.1% (USA) $14.99. 87 • Pico & Vine 2014 Meritage, Napa County 14.5% (USA) $17.99. 88 • Pico & Vine 2016 Cabernet Sauvignon, North Coast 13.8% (USA) $17.99. 89 • Raeburn 2016 Chardonnay, Russian River Valley 14% (USA) $16.95. 91 • Raeburn 2016 Pinot Noir, Russian River Valley 14.5% (USA) $24.99. 86 • Randall Monroe 2015 Pinot Noir, California 13.5% (USA) $8.99. 84 • Randall Monroe 2015 Sauvignon Blanc, California 13.5% (USA) $8.99. 92 • Scattered Peaks 2015 Cabernet Sauvignon, Napa Valley 14.5% (USA) $40.00. 92 • Secret Cellars 2013 Pinot Noir, Santa Lucia Highlands 13.5% (USA) $13.99. 85 • Secret Cellars 2014 Chardonnay, Monterey County 13.5% (USA) $11.99. 91 • Secret Cellars 2014 Pinot Noir, Santa Lucia Highlands 13.5% (USA) $13.99. 86 • Secret Cellars 2014 Cabernet Sauvignon, Paso Robles 14% (USA) $13.99. 88 • Secret Cellars 2015 Cabernet Sauvignon, Paso Robles 14% (USA) $14.99. 90 • Secret Cellars 2015 Chardonnay, Monterey County 13.5% (USA) $14.99. 88 • Secret Cellars 2016 Cabernet Sauvignon, Paso Robles 14% (USA) $14.99. 85 • Secret Cellars 2017 Pinot Noir, Central Coast 14.5% (USA) $14.99. 91 • Shiloh Road 2014 Pinot Noir, Sonoma County 13.8% (USA) $19.95. 87 • StonD 2015 Cabernet Sauvignon, Columbia Valley 14.5% (USA) $14.99. 91 • The Weasel and the Cork 2016 Cabernet Sauvignon, Alexander Valley 14% (USA) $29.95. 87 • The Weasel and the Cork 2016 Red Blend, Alexander Valley 14% (USA) $29.95. 87 • Trailhead 2015 Cabernet Sauvignon, Napa Valley 14% (USA) $35.95. 81 • Trailhead 2016 Sauvignon Blanc, Napa Valley 13.5% (USA) $19.95. 84 • Twirl 2015 Moscato, California 11% (USA) $13.95. 86 • Twirl 2016 Pinot Grigio, California 13% (USA) $13.95. 86 • Twirl 2017 Chardonnay, California 13.5% (USA) $13.95. 81 • Twirl 2017 Pinot Grigio, California 13% (USA) $13.95. 83 • Twirl 2017 , Moscato, California 10% (USA) $13.95. 89 • Twirl NV Sangria, California 10.5% (USA) $13.95. 89 • Viva La Fruita NV La Fruta Sangria, California 10.3% (USA) $15.95. 85 • Zynthesis 2015 Old Vine, Zinfandel, Lodi 14% (USA) $19.95. Main & Geary 2016 Pinot Grigio, California rating was calculated by tastings.com to be 81 points out of 100 on 12/11/2017. Please note that MSRP may have changed since the date of our review.